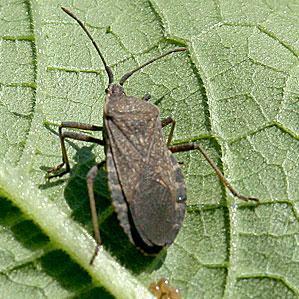 The brown marmorated stink bug is most similar in appearance to the rough stink bug (Brochymena spp. 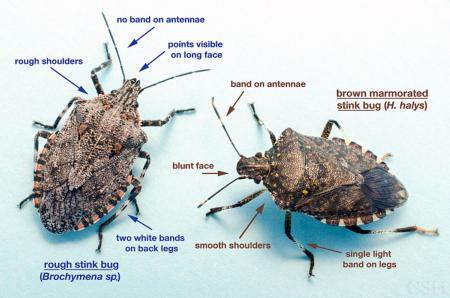 ); The pictures below illustrate the differences. Rough stink bug vs BMSB, by Chris Hedstrom, Oregon State Univ. 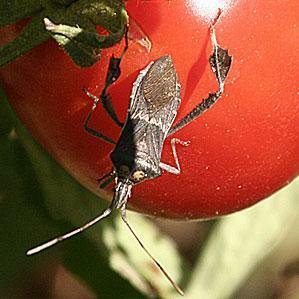 Other similar bugs include the consperse stink bug (Euschistus conspersus), squash bug (Anasa tristis), and leaffooted bug (Leptoglossus phyllopus). 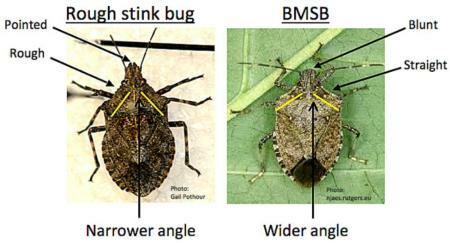 The distinguishing feature of the BMSB at all life stages is white banding on the antennae and usually on the legs also. 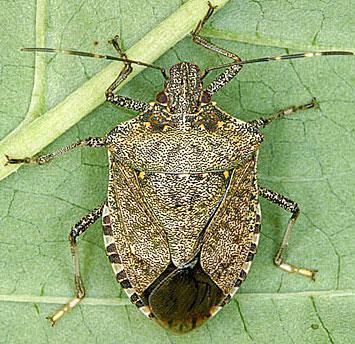 Compare the first picture below with the three other true bugs. 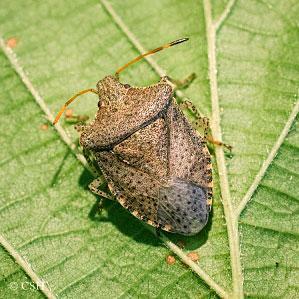 Brown marmorated stink bug (photo: njaes.rutgers.edu).